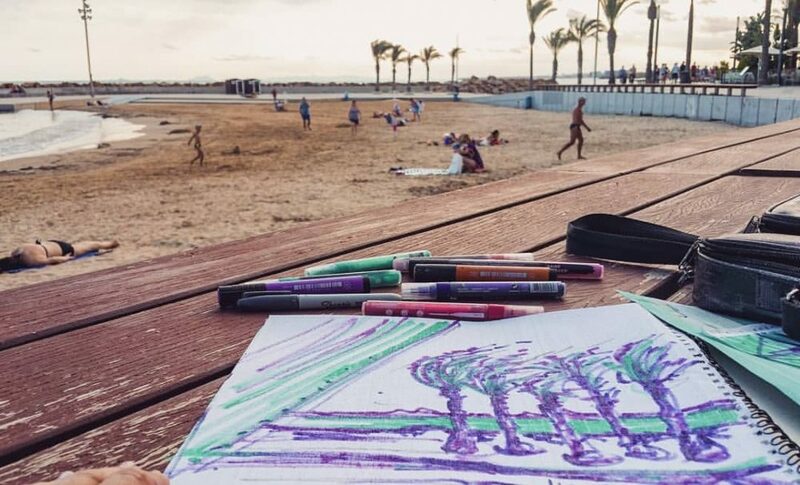 Sketching in #Torrevieja on a windy day… I have been living in 3 countries for about a year now. This is why, 1) I started working on larger canvases which price will allow me to go and pick them up and possibly even hand deliver them to customers from the country where the pictures were painted. And 2) starting next spring I really would like to organise “The Way of the Apostate” (as this is my current theme) retreats in Spain and then in Russia. Very informal gatherings for people who like interesting civil conversations, learning from each other, visiting places, masterminding problems, hiking, co-working, having good time. Please let me know if you are interested or have any ideas. I have spaces for up to 6 people in Spain and 5-7 in Russia.